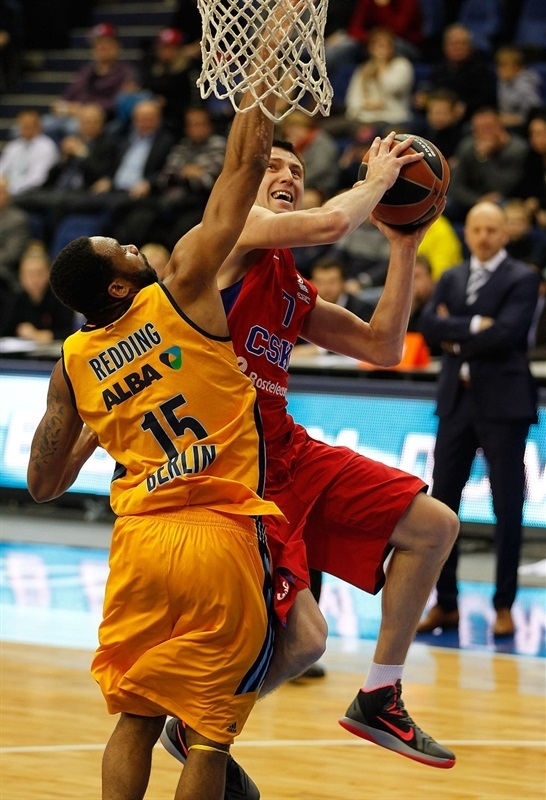 CSKA Moscow became the first team to qualify for the Top 16 by hitting 15 three-pointers and leading from start to finish in hammering visiting ALBA Berlin 95-66 in the Russian capital on Thursday. 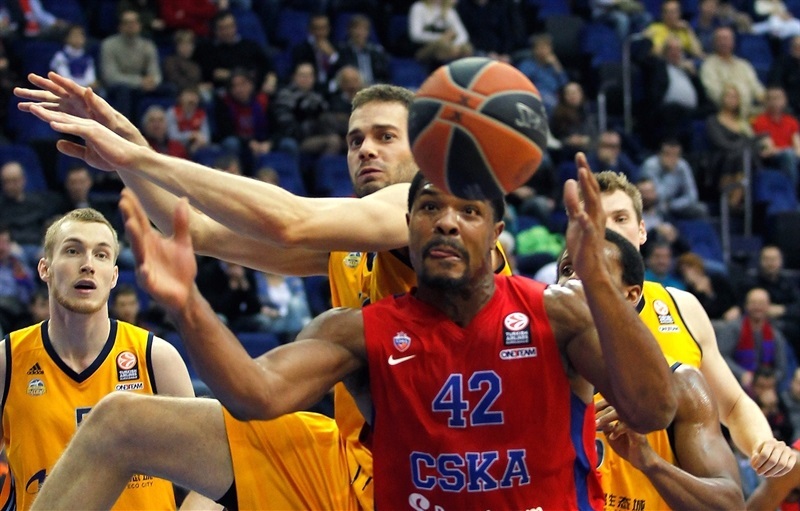 CSKA kept its perfect record intact, improving to 6-0 with at least a two-win advantage atop of Group B. Meanwhile, ALBA saw its two-game win streak snapped, dropping to 2-4 and fourth place in the standings. Even without point guard Milos Teodosic, who was a late scratch due to a foot injury, as well as long-term absentees Manuchar Marokishvili and Victor Khryapa, CSKA stormed out of the gate and increased its leadn minute by minute, hitting 8 of its first 12 three-point attempts. 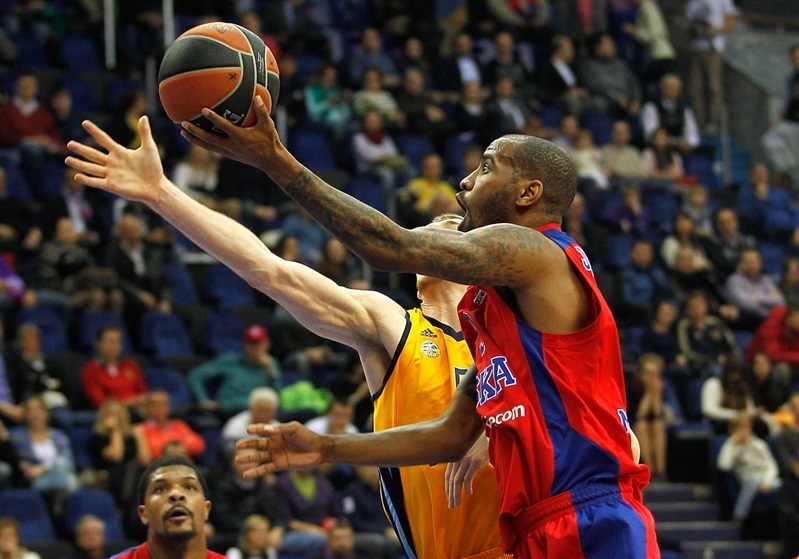 Aaron Jackson scored 10 points, including a pair of triples in the first quarter, for a 28-11 lead and then Nando De Colo took over, hitting 3 of 3 from downtown and with his 11 points helped extend it to 48-18 late in the second quarter. On the other hand, ALBA missed its first 8 three-point attempts, hitting the first one in the final minute of the third quarter, when CSKA held a 66-46 lead, and the game was already out of hand. De Colo finished as the top scorer with 22 points on 4-for-4 shooting from downtown, and Jackson scored 18 with 4 of 5 three-pointers in victory. 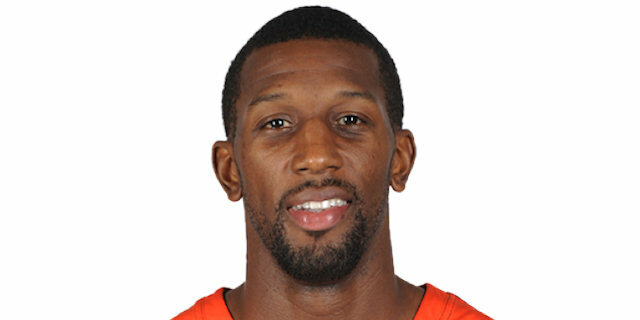 Demetris Nichols contributed 10 points for the hosts. Reggie Redding led ALBA with 16 points plus 8 rebounds, Marko Banic scored all of his 12 points in the second half, and Cliff Hammonds netted 11 in losing effort. Sonny Weems started things for the hosts with a basket from close range, and Andrey Vorontsevich followed it with a jumper. 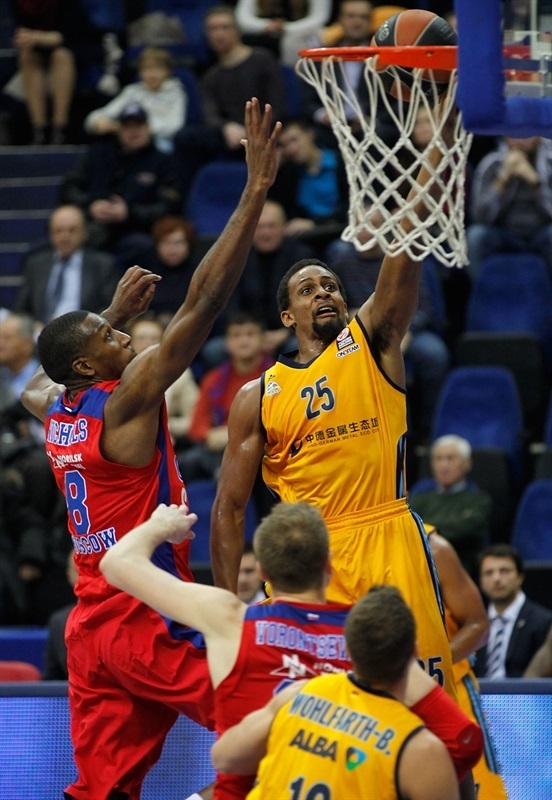 A layup from Reggie Redding opened ALBA's account before Vitaly Fridzon nailed a tough corner triple for 7-2. 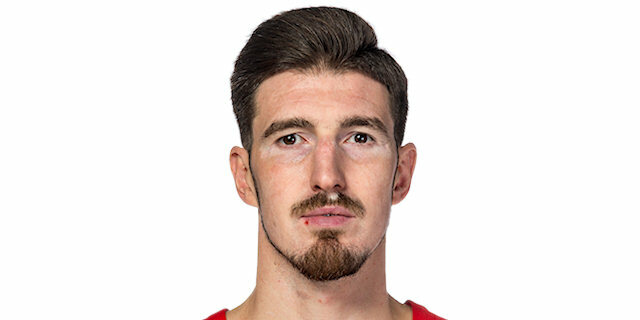 Niels Giffey made a layup for the visitors after a bounce pass from Leon Radosevic, but Jackson scored from close range, and after a layup from McLean, a triple from Jackson extended CSKA's lead to 14-6. Weems and Kyle Hines pushed the lead to 12 points from the free throw line, and after Jonas Wohlfarth scored a rare basket for the Berliners, a short jumper from Hines and a driving layup from Jackson made it 22-9. 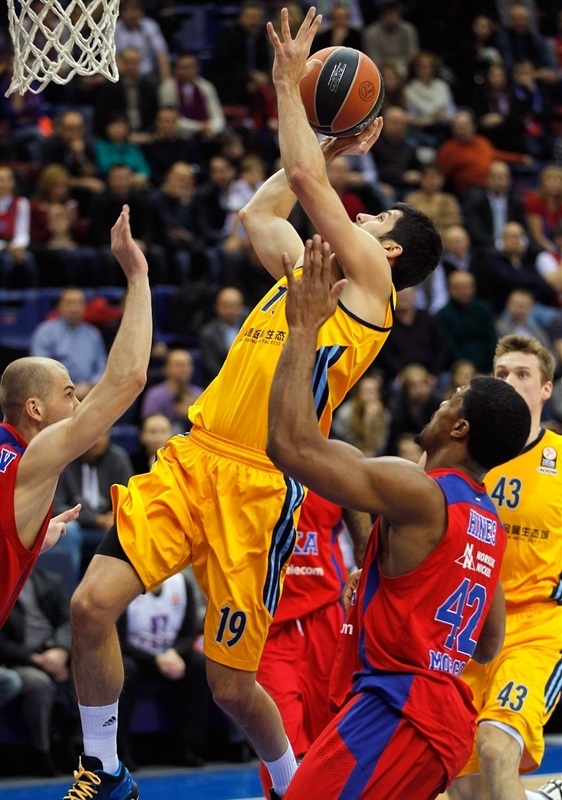 ALBA hustled, but could not come up with much against CSKA's stiff defense. Meanwhile, Fridzon buried another corner three-pointer, and Jackson hit a step-back triple as time expired, to end the first quarter with a 28-11 lead. A put-back dunk from Pavel Korobkov opened the scoring in the quarter, and De Colo hit a three for a 33-11 lead. McLean made a floater to end ALBA’s drought, but De Colo and Hines extended it to 37-13. Giffey scored inside for the visitors, but Ivan Strebkov hit another shot from downtown for the hosts. ALBA increased its tally with free throws from Hammonds, but Jackson made a driving layup and De Colo back-to-back three-pointers for 48-18 with over two minutes left in the second quarter. Redding made a layup in traffic and a long jumper for ALBA’s first back-to-back baskets, and Wohlfarth followed it with a layup to cut the deficit to 48-24. A layup from Marko Banic on one end, followed by a long jumper from De Colo on the other, got the second half started. McLean had a dunk for ALBA, and after a short jumper from Vorontsevich, McLean fed Banic for an easy layup and a 52-30 lead. 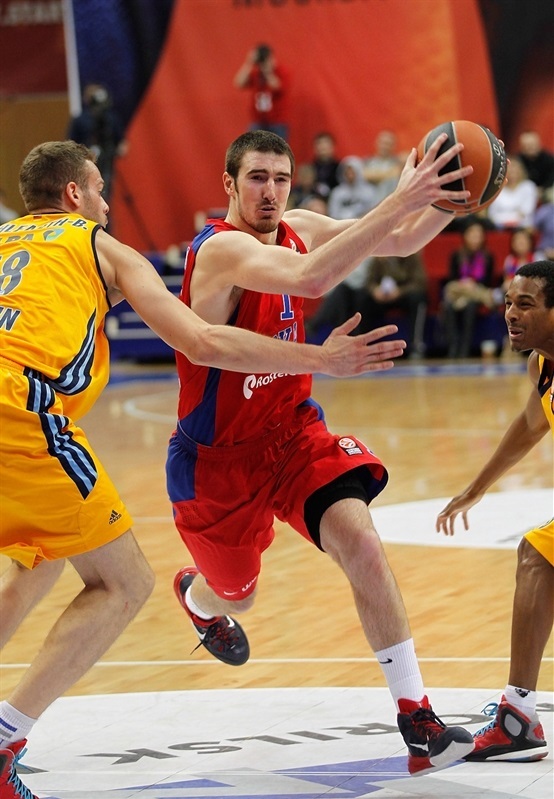 Redding made a long jumper, but De Colo answered with a corner triple. Wolhfarth banked in a tough jumper, but an easy dunk from Kaun made it 58-34. With the hosts clearly in control, the pace of the game picked up. Kaun scored 4 more points, and after a layup from Banic, De Colo shook off his defender for a jumper and a 64-37 cushion. Banic scored another layup and followed it with a long jumper for ALBA. After De Colo drove for a layup, Alex Renfroe drove for a layup and Akeem Vargas nailed a second-chance triple, the visitors’ first of the night, helping cut the difference to 68-46 after three quarters. Banic hit another jumper on the first possession of the quarter, and after Fridzon nailed a triple for CSKA, Redding made a layup-plus-free throw to get within 71-51. Nichols made a turnaround jumper, and Hines a basket-plus-foul for the hosts. After McLean’s layup, Jackson and Hammonds traded triples, 79-56. Hammonds followed it with a jump shot, but Nichols drove for a layup to keep the margin above 20 points. Jackson knocked down another three, and Hammonds hit another jumper, making it 84-60 half way through the final quarter. Hammonds continued his run of points with a steal and a fastbreak layup, but Weems nailed a three-pointer for an 89-62 lead. As the game was closing to the final buzzer, Redding and Giffey made jumpers for the visitors, but Nichols had a pair of triples for CSKA. "Obviously we played good basketball and I can congratulate my team. Most of the players stepped up, played with needed focus and desire and competed through all 40 minutes. Despite the fact that ALBA fought till the end and pressed us full-court, we managed to dominate the boards, shoot with high percentage and satisfy our fans." "They outclassed us in many elements of the game and really dominated on the floor tonight. 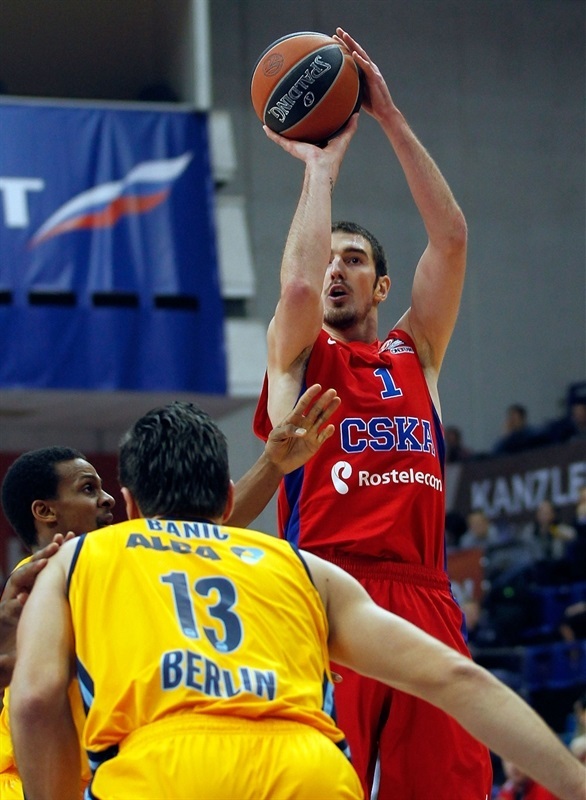 CSKA was better tactically and individually, on offense and defense. We were just not on their level. But we should not be destroyed with this loss. We faced probably the strongest team in Europe, the favorite to win the whole thing. 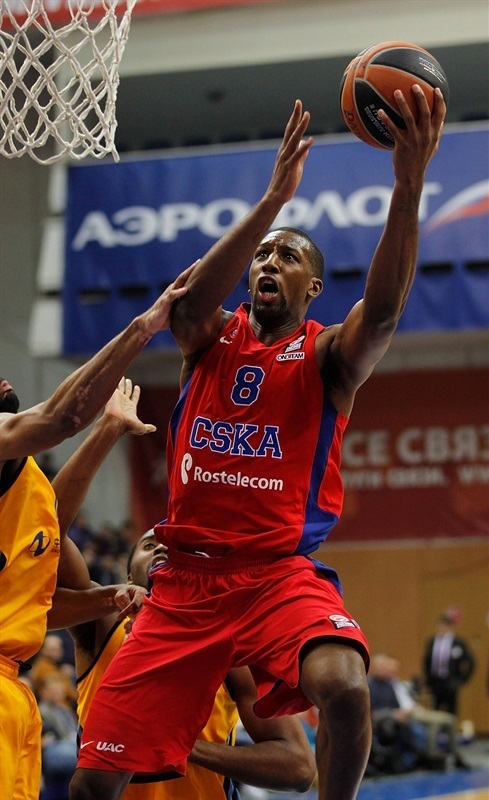 Despite the number of injuries, CSKA shows great chemistry and a high level of basketball. So for me this result is okay. We move on and think about the future." 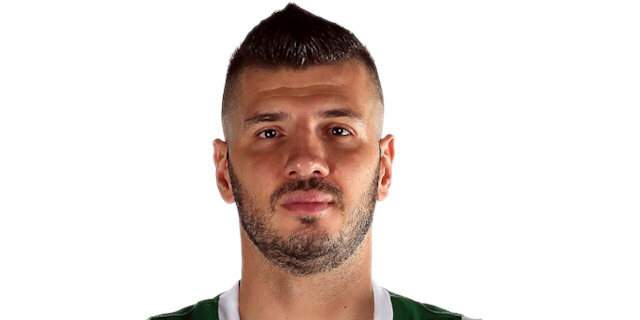 "I think we had very good game, we were focused from the first minute. We knew everything about their defense. We put a lot of aggressiveness, everybody was together from the very beginning. And after that we were confident. It was easy for us to play on offense. We have many injured players now, so we tried to stay together and keep going day by day. " "The game was good. We did defensively all we had to do, we studied the opponent all week long. It made our offense easy. We shared the ball and played like a team so we did all we were supposed to do." 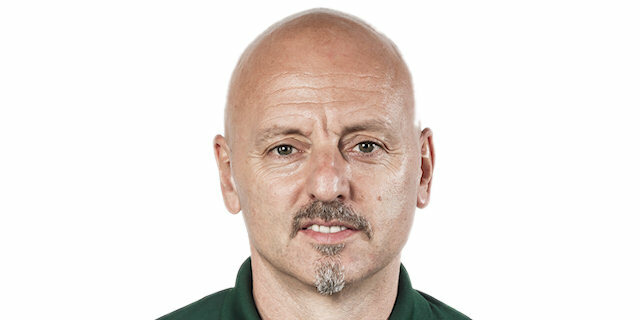 "It happened more or less like in the first game, we expected CSKA to have such game on their court. It’s really tough. This team is amazing this year; they play such nice basketball. I am just really sorry we did not show good moments, which we actually could do." 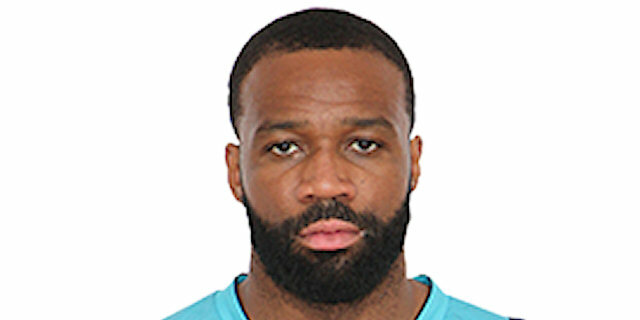 "CSKA is a great team. It’s no surprise. We wanted to come and fight; we did give a lot of effort. We just need to keep working hard. We did not play well defensively and did not hit many shots on offense, that’s the key. They scored tough and open shots."